In Part 1 of this series, we covered all the reasons why you shouldn’t panic over tiny temporary fluctuations in weight, and why it’s OK that Paleo weight loss slows down after a week or so. There are a thousand reasons why you might have gained some “scale weight” without actually increasing the amount of your fat tissue, and getting hung up on these insignificant changes never does any good. On the other hand, everyone knows how helpful it is to monitor your progress towards a goal: what’s more motivating than looking at your weight log and seeing how far you’ve come? And in the case of weight loss, measuring your achievements on the scale is the most direct way to do that. So what to do: how can you stay motivated and get a feel for how fast you’re making progress, without driving yourself crazy? Weekly weigh-ins are subject to all the fluctuations of the scale just like any others, but by pushing it back to 7 days instead of 1, you’re giving the long-term trend more of a chance to show itself. In fact, the longer you can go between weigh-ins, the better; two weeks beats one, and a month beats two weeks. Also try to weigh yourself under the same circumstances every time. Did you step on the scale in your underwear first thing in the morning on Monday? Then don’t get on after dinner in all your clothes on Friday! Ladies, if you know you’re going to see an unwelcome number because you always see an unwelcome number at this time of the month, then put it off for a day or three. This saves a lot of unnecessary agonizing over “weight gain” that really isn’t. 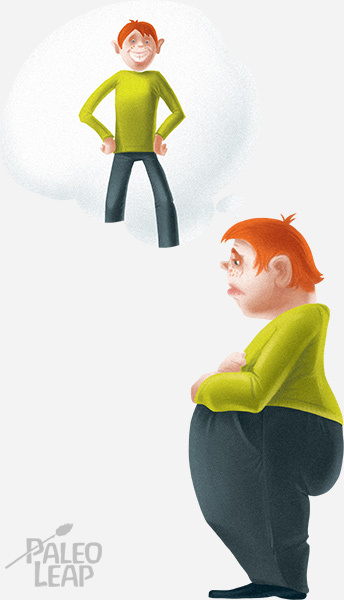 Most people want to lose weight for two reasons: health and aesthetics. But “losing weight” is really a misleading name for the process of getting healthier and looking better naked: it would be more precise to call it “losing fat.” In the amounts that any normal human can build up without massive steroids, muscle weight is both very healthy and extremely attractive. So you can actually get closer to your weight-loss goals by gaining muscle, even though muscle is technically “weight” as well. The difference between a pound of muscle and a pound of fat is completely lost on the scale: it’s just a pound. But you can get a handle for this by measuring inches instead: muscle is denser, so the same pound of muscle takes up less space. Try tracking your clothing size, or just measuring around your waist and hips. You may not be losing any pounds, but you might still be dropping sizes – and after all, isn’t that what matters? Body fat percentage is actually a very good indicator of how well you’re working toward your weight-loss goals, but there’s just one little catch: most methods of measuring it are wildly inaccurate. Skinfold calipers vary wildly depending on who’s using them, and the handheld machines (the ones with handles that you grab) aren’t much better. DEXA scans and hydrostatic weighing are better, but they tend to be expensive, time-consuming, and typically inconvenient unless you live right by a research lab. The bright side is that if you use the same method every time, you’ll get a reasonably accurate estimation of how your body fat is changing relative to where you started. But just don’t go crazy with the specific numbers; think of them as ranges rather than precise measurements. It’s just a fact of human psychology: you’ll pay attention to the things you keep track of. If you’re only tracking scale weight, then scale weight will loom very large as your judge of success or failure. But if you can track a performance-oriented goal as well, you’ll have another way to track your progress toward what really counts: health and fitness. Try tracking miles run, weight lifted, or some other quantifiable metric of your physical health (blood pressure, blood glucose levels, ketone levels…). This will help you get some perspective on the scale number, and avoid getting discouraged. But What If I’m Really Stalled? Metabolic slowdown, if you’ve been at it for a year or two. Diet creep: increasing amounts of nuts, sweeteners, chocolate, fruit juice and dried fruit, and other borderline-Paleo foods that hinder weight loss in various ways. Depending on which one is you, there are various ways of combating this – but again, don’t panic and pre-emptively declare yourself “stalled” after two days of weight loss that’s slower than you’d like! Patience is key to the weight-loss game. Weight loss is always an emotional challenge, but hopefully knowing what to expect will help you keep everything in perspective during the journey. Like any other lower-carb diet, Paleo has an initial “whoosh” of water weight followed by slower weight loss that’s much less dramatic. Don’t panic when the incredible pace of the first week or so doesn’t keep up; that’s normal. Also don’t worry if you don’t lose a little weight every day. Because “scale weight” depends on so many things besides fat gain or loss, weighing yourself all the time just isn’t helpful. It’s a huge temptation to skip the forest for the trees, and get caught up in little, half-pound fluctuations that ultimately mean nothing. 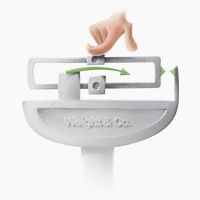 Try a weigh-in once a week instead, or switch to measuring inches instead of pounds. Or just forget about the weight altogether and focus on eating to fuel your athletic performance; you might just look up at the mirror one day and realize your weight-loss goals happened by themselves. If you’ve really stalled (three or four weeks with a scale that won’t budge) it might be time to try something new, but so many people who worry about a “stall” are really just overreacting to a temporary fluctuation. Don’t let these little changes phase you, and you’ll be well on your way to sustainable, long-term weight loss – without going crazy in the process!